Mumbai : World Branding Awards (WBA), a globally renowned awards property hosted by World Branding forum (WBF) announced India’s leading media and entertainment organisation, Zee Entertainment Enterprises Ltd. as the only Indian brand in the Satellite TV category to be honoured with this prestigious award. In its 26th year, the global media conglomerate has successfully evolved into an all-encompassing entertainment company offering quality content across multiple platforms and languages reaching 1.3 billion viewers across the globe. Striving to continuously offer extraordinary entertainment to its viewers, ZEEL has built an entrenched position in content creation through not just strong in-house abilities but also through strategic content creation partnerships and business models designed to create an ecosystem that focusses on delivering extraordinary results. Viewed as the ultimate global brand recognition accolade, the participating brands are uniquely judged through three key streams: brand valuation, consumer market research, and public online voting. Approximately 70% of the scoring process comes from consumer votes wherein each brand is named “Brand of the Year” in their respective categories. Winners are classified in three tiers: Global, Regional and National. In the past, over 3,000 brands from 35 countries were nominated for the 2017-2018 Awards in multiple categories, and more than 135,000 consumers from around the world participated during the voting period. 245 Brands from 32 countries were awarded. This year’s edition of the award ceremony was held on October 31, 2018 at the Kensington Palace London. Mrs. Prathyusha Agarwal, Chief Marketing Officer at Zee Entertainment Enterprises Ltd. represented ZEE Entertainment and received the award at the award ceremony. 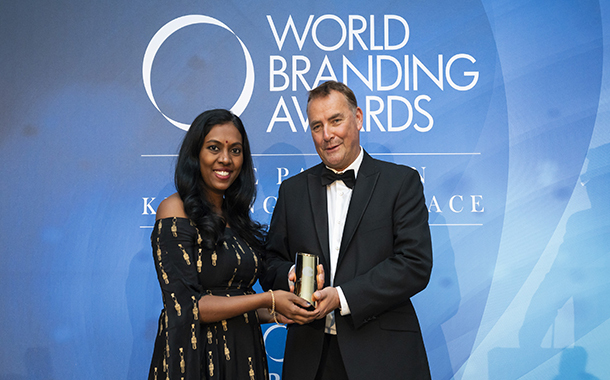 Speaking on this achievement Mrs. Agarwal said, “Having recently completed 26 glorious years of bringing the best in class entertainment to our viewers, we feel humbled and honoured to be the “Brand of the Year” at the prestigious World Branding Forum. With the comprehensive rebranding exercise in 2017 ZEE -Extraordinary Together, we at ZEE have been on a journey building an organization obsessed with viewer needs and delivering the brand promise on a daily basis through our content and communication offerings much like a service brand that lives across every touch point. Whether it’s our Hindi General Entertainment Channel Zee TV with – ‘Aaj Likhenge Kal’ inspiring our viewers, the great Indian middle class to draw from their inner strength and achieve the extraordinary or Zee Bollywood offering 101% Shudh Bollywood for audiences who seek Masaledaar entertainment, our viewer centric brand and content approach is finding strong connect across India and will stay entrenched in the public mind-space for years to come. As we continue to deliver extraordinary experiences, we would like to take this opportunity to thank our viewers who constantly show their love and support making ZEE an Iconic Indian grown global brand”. Today, ZEE brings the best of entertainment content to its viewers and has magnificently grown from a broadcasting Company to a Global media and entertainment powerhouse. The diverse entertainment offerings of the company cover the entire spectrum of consumers’ needs. ZEEL continues to stay ahead of the curve, courtesy to its in-depth understanding of its viewers and expertise to offer quality entertainment offering that mirrors the sentiments and growing aspirations of its audiences.